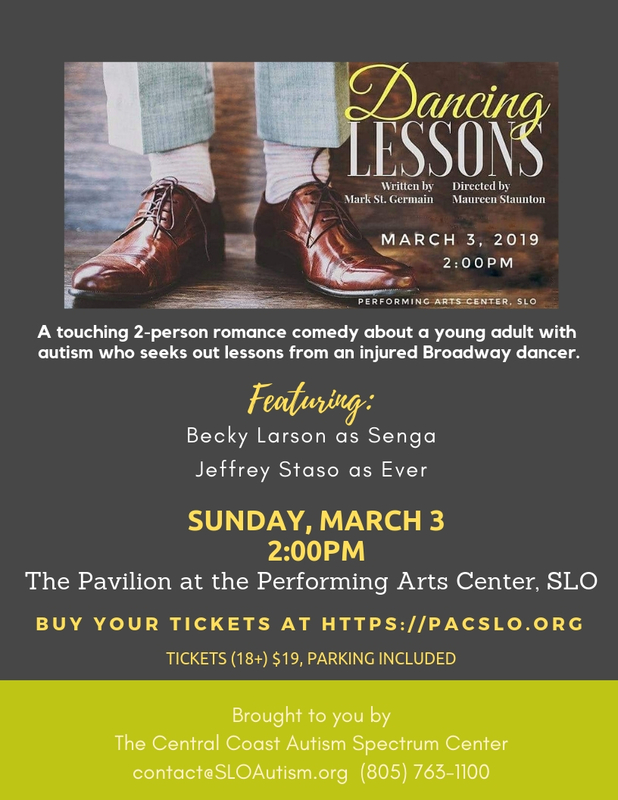 DANCING LESSONS centers on Ever, a young man on the autism spectrum, who seeks the instruction of a Broadway dancer to learn enough dancing to survive an awards dinner. The dancer, Senga, however, is recovering from an injury that may stop her dancing career permanently. As their relationship unfolds, they’re both caught off-guard by the discoveries—both hilarious and heartwarming—that they make about each other and about themselves. Written by Mark St. Germain. Directed by Maureen Staunton. Featuring Becky Larson as Senga and Jeffrey Staso as Ever. Tickets to this preformance are $19 and includes parking. Tickets are availble for purchase directly from the Performing Arts Center.